LCAC JMSDF The JMSDF LCAC (Landing Craft, Air Cushioned) was introduced from the US as a landing craft of LST Osumi class ships. It cruises with its hull floated about four feet above the surface. Therefore it is capable of landing directly from the mother ship to the beach, and swift loading and unloading of vehicles. This makes it possible for troops to access 70% of the world's coastline, while only 17% for conventional landing crafts. It can carry heavy payloads of 60 tons, equal to one Type 90 tank, or four armored vehicles. The four 4000hp engines, two for floating and the others for propelling, are mounted separately in both modules of the hull. Although JMSDF LCACs were originally planned as LST-based crafts, in 2004 they were assigned in the 1st air cushioned craft squadron. 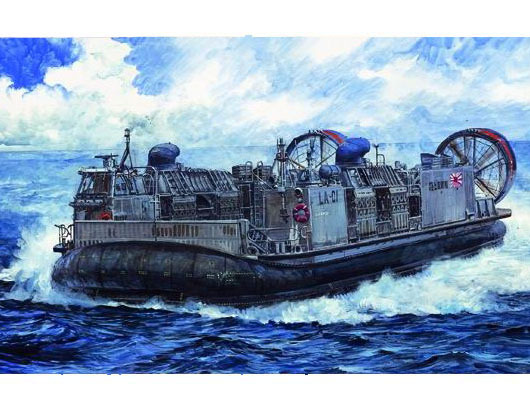 They were numbered from LCAC-2191 to LCAC-2196, and started to be treated as defense ships.